It all began with a customer visiting a jewelry brick and mortar store, succeeded by visiting jewelry store online and is now substituted by slipping the entire jewelry store into a pocket. M-commerce application is not a novelty anymore. It serves as a ‘bridge’ between your jewelry business and customers. Unlike a website, your entire virtual presence can be magnified through your company’s icon on a customer’s mobile device with an m-commerce application. Accessing a jewelry website on a traditional desktop, there are chances of customers getting distracted or engaged in offerings by other competitive brands, especially when dealing in the jewelry industry that is governed by individual preferences and minute variations. A dedicated jewelry store in the form of a mobile application makes sure that you have maximum customer attention and privacy during their visit to your virtual store. Specials and promotions can be offered directly through an m-commerce application. Push notifications regarding special offers and discounts can be sent to the customers instead of a promotional email. In the jewelry industry, the use of right words accompanied by an engaging photographic offer can seal the deal, especially when the buy button on your m-commerce application is readily available to the right of the image. There are different tools available to obtain valuable insights and metrics for your mobile application. Base offerings such as page visits, browsing history, age groups, and demographics can be topped with time spent, bounce rates, past purchases, etc. This provides a jewelry manufacturer a better understanding of their customers and helps them plan their next batches of scintillating wonders. If you are still wondering how a jewelry mobile application is different from using a website, you must understand that each customer that downloads your application is a ‘person of interest’ to your business. Customers’ want to accommodate your store on their mobile shows their interest to visit your jewelry offerings more than once. Holding such customers is easier through your mobile application as it can be done in a real time manner too. 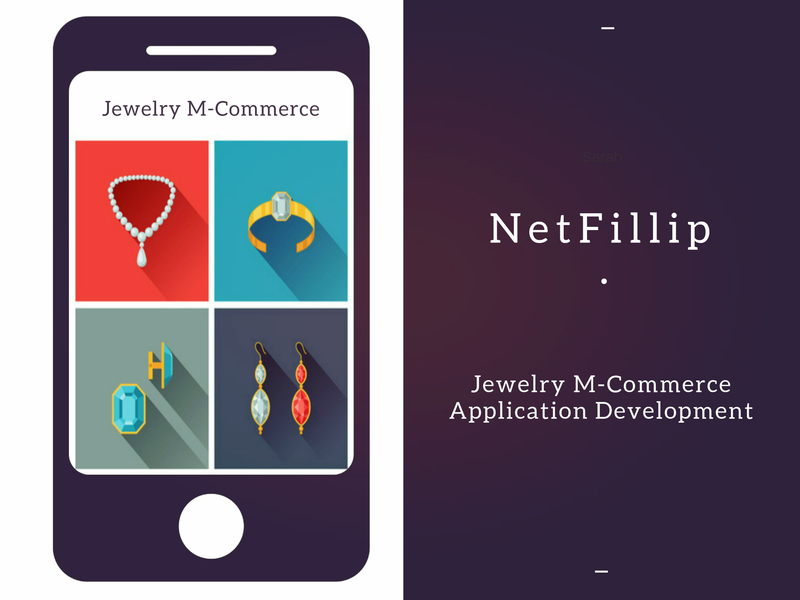 NetFillip excels in jewelry m-commerce development. We provide features and services like Loose Diamond Search Engine, RapNet Instant Inventory Integration, RapNet Download Listing Service (DLS) Integration, Ring Configurator, Build your own Jewelry, Custom Shopping Cart, Payment Gateway Integration, Virtual Jewelry Try-on Solution, etc. to make your jewelry m-commerce application rise above digital noise.